House 344: Where We Learned to Live, Love, and Cook: Sugar Cookie Bars and a Giveaway! I think I found a new favorite treat. Seriously. These were awesome. I didn't eat as much as I wanted, because of this silly diet I'm on, but I got enough of a taste that every time I walked by them, my mind was screaming, "EAT THEM! GET YOU A BAR AND ENJOY THAT SUCKER! YOU DESERVE IT! YOU CAN RUN IT OFF LATER!" I ended up taking half over to my in laws to share with the grandkids. I needed them out of my site! These would make a cute Valentine's neighbor gift but with cute Valentine's Day sprinkles. I think I will be doing that for mine. Cream your butter and sugar until light and fluffy. Add your eggs one at a time mixing well after each one. Add vanilla. Add your dry ingredients and mix until well combined. Press into a greased 13x18 in sheet pan. A big cookie sheet. Bake at 375 degrees for 10-15 minutes. Check them and DO NOT OVER BAKE THEM! Let it cool completely before frosting. Beat your butter and shortening until light and fluffy. Add vanilla and then powdered sugar. Mix until well combined. Add in milk 1 Tbsp at a time until your reach the thickness that you want. Spread over your cooled sugar cookie bars and then sprinkle with your favorite sprinkles right after so they stick to the icing. Cut and serve. 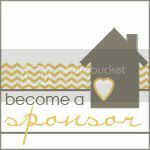 We are so excited about how well our little blog has been doing the last couple months that we thought we would do a giveaway! It's our way of saying thank you to all of our followers. We appreciate you coming back to read our blog and leaving us comments here and there. It really makes our day hearing from all of you! 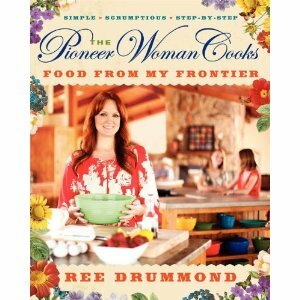 So, as you all know, I love Ree Drummond! She is coming out with another cookbook in March, so I thought since I'm ordering me one, I would order a cookbook for one of our followers too! Yay! I can't wait! You can enter up to 3 times! You can enter for each thing you do. Leave a comment if you are a follower of our blog, and let us know how we are doing or what you'd like to see different on the blog. Leave another comment if you are 'liking' us on Facebook. Leave another comment if you shared with your friends and family on facebook, or any other social network that we are doing a fun giveaway on our blog, and leave us with a link to see. And there you have it! GOOD LUCK!! I can't wait to see who wins! Have a happy Friday, and again thank you for coming back to read our blog. We love and appreciate every single one of you! Those cookies rock! I want to know calorie count for the entire pan! Ha. You dudes are awesome! I'm a follower of your blog, I love your recipes, keep them coming! I loving you on Facebook. I'm a relatively new follower via my Google Reader and I am loving the blog so far! You've got some really great recipes that I'm trying. I'm going to make these this weekend! I follow your blog and think it's jsut great! DID ALL THREE! I am a follower on blog, I liked you on facebook, and I posted about your giveaway on my own little blog, youcraftylittlething.blogspot.com. I WANT THIS COOKBOOK SO BAD, AND I HAD NO IDEA SHE WAS COMING OUT WITH ANOTHER ONE! YESSSS! I'm a follower! I'm a follower! I follow your blog. Love the recipes just tried the tast cornbread. New follower, but I love the inspiration your blog is giving me! This recipe sounds amazing! I can't wait to try it out. Love that it has simple ingredients that I have at home all the time. Can't wait to try these cookies - I'm already a follower!! I love reading all the fun things you have been sharing lately, these cookies included. I can't wait to make them! I love to check out your weekly menus and I have loved all your recipes!!! I am sharing this on facebook also! Love your blog!!! Can't wait to make those cookies they look so yummy!!!! Follow your blog!!! You guys have some great recipes!! Follow on fb!! Thanks for sharing your recipes with us!! So, I'm an avid stalker of your blog, I mean a follower. I'm also a liker of your Facebook page. So yes, I want this cookbook!!! Hi! I am a new follower of your blog...great ideas and recipes! 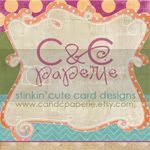 I think I will make the crepe paper hearts with my kiddos!! Okay. Didn't know sugar cookies could get any more lovely!! I'm a follower ;). Love that I can find a menu for the week and a darling printable on the same blog. You girlies are the best!! 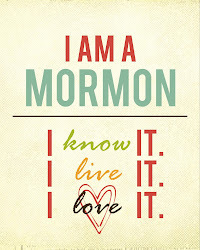 I am a follower and I love your blog! Great recipes and ideas! I follow your blog and really enjoy it! I've had great success with some of the recipes ya'll have shared.